Daimler Trucks presented in Las Vegas its Cascadia truck. It features SAE level-2 automated driving functionality. On CES 2019, Daimler Trucks North America’s (DTNA) launched its Cascadia truck, which can accelerate, decelerate, and steer independently. Of course, the truck uses CAN-based in-vehicle networks to communicate between the ECUs (electronic control unit). But there is no CAN communication between truck and semi-trailer. Adaptive Cruise Control to 0 km/h: Improves safety, efficiency, and driver comfort by automatically decelerating and accelerating to maintain a safe following distance. This technology is especially important for maintaining a comfortable driving experience in congested traffic conditions where repeated braking, accelerating and resetting of traditional cruise control can lead to driver fatigue. The Detroit Connect Analytics provides fleets with analysis and key insights on the performance of the new Detroit Assurance 5.0 safety features. Fleets are notified, if drivers have their hands off the wheel for longer than one minute. According to NHTSA, ninety-four percent of crashes are attributable to human error. Automating acceleration, deceleration, and steering reduces the chance for human error, mitigates collisions, and can potentially save lives. These technologies can also enhance the driver experience by making the truck-driving task easier, thereby improving driver comfort and wellbeing. DTNA’s expertise in automation is backed by Daimler Trucks, which announced at CES 2019 an investment of over half a billion dollars and an addition of more than 200 new jobs in its global push to put highly automated trucks (SAE level-4) on the road within a decade. 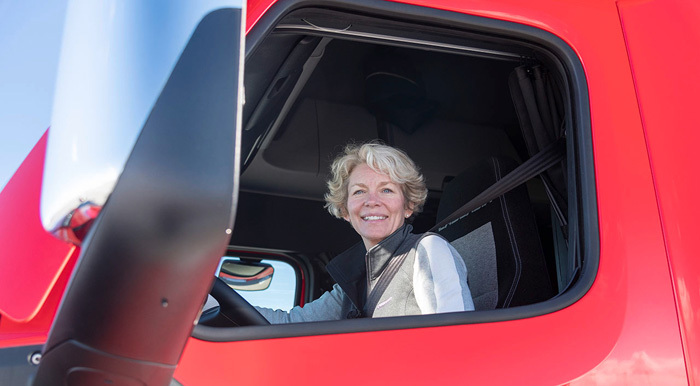 Most of these jobs will be located at the new Daimler Trucks Automated Truck Research & Development Center at DTNA’s headquarters in Portland (OR).